our unique combination of environmental, scientific, business and cultural expertise makes Inlailawatash the ideal partner for any project. 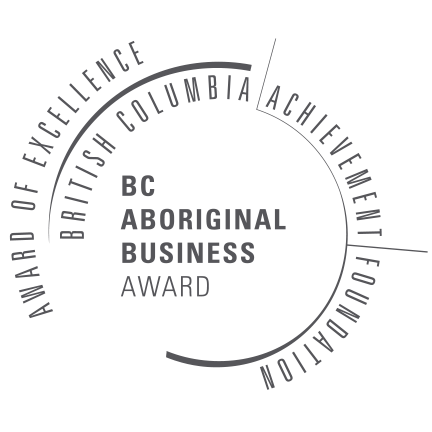 We provide a range of cultural and renewable resource services to aboriginal and crown governments, communities, private-sector and nonprofit organizations. We are comprised of archaeologists, GIS technicians, natural resource professionals, certified utility arborists and other skilled field personnel who offer a winning combination of academic training, work experience, and project management skills. Inlailawatash offers comprehensive tree and vegetation management services in residential, park and urban forestry settings, as well as within utility corridors. We help to restore and enhance diverse ecosystems. Services include habitat restoration planting, landscape maintenance, fish habitat enhancement, forest service road maintenance, invasive species management and pedestrian trail and bridge construction. Our firm grounding in First Nations cultural values and archaeological science underpins the wide range of services we offer—from Cultural Resource Management projects (CRM) to research-based heritage investigations and community archaeology projects. We focus on providing services that meet the needs of our clients, provide value and relevance to First Nations communities, and contribute to archaeological scholarship. We provide large and small-scale desktop studies, field programs, archaeological monitoring, and education and training programs. We provide a range of Geographic Information Systems (GIS) services, technical support, and analysis. Our sophisticated lab, experienced technicians and project managers allow us to provide mapping services for organizations across Canada. Foresight, planning, and ongoing management are key to maximizing the value and sustainability of renewable resources. We manage commercial forestry and commercial fishery resources for Tsleil-Waututh Nation and can provide a range professional forestry, fishery and clean energy management services for external clients. Like the salmon egg depicted in our logo, our work has the potential to positively impact the environmental balance, sustainability, and prosperity of the communities we serve for multiple generations.